Thanks to Lionsgate for providing me with product. All thoughts are my own. We're big fans of family movie night on Friday evenings. After a long week of work and school, and running countless errands, it's really nice to pop a frozen pizza into the oven, slice up some fruits and veggies, and huddle together in the living room to watch a movie together. The older my son gets, the more interested he's becoming in live action movies. The problem for parents can be knowing what is or isn't appropriate for a child of a certain age to see or hear. We try our best to be strict about what we let our kids watch, and thanks to Dove seal of approval, there are no guessing games when it comes to appropriate content when we see that family-friendly stamp on a DVD. 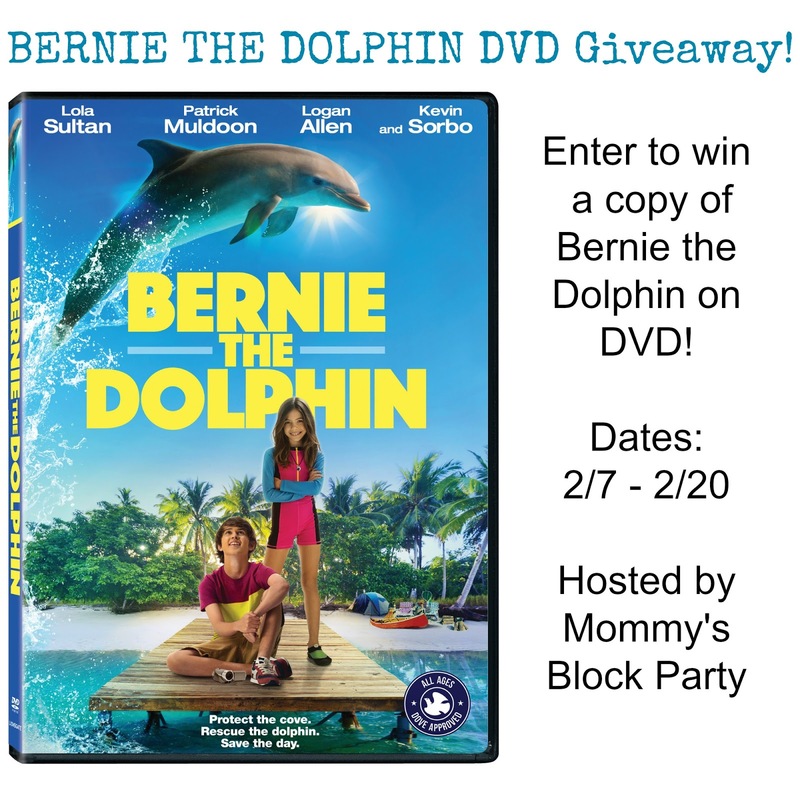 Our newest family-favorite movie is none other than BERNIE THE DOLPHIN. A heartwarming story about siblings and their passion to help sea life, Bernie the Dolphin arrives on DVD and Digital on February 5 from Lionsgate. The film is currently available On Demand. Check out the exciting trailer! 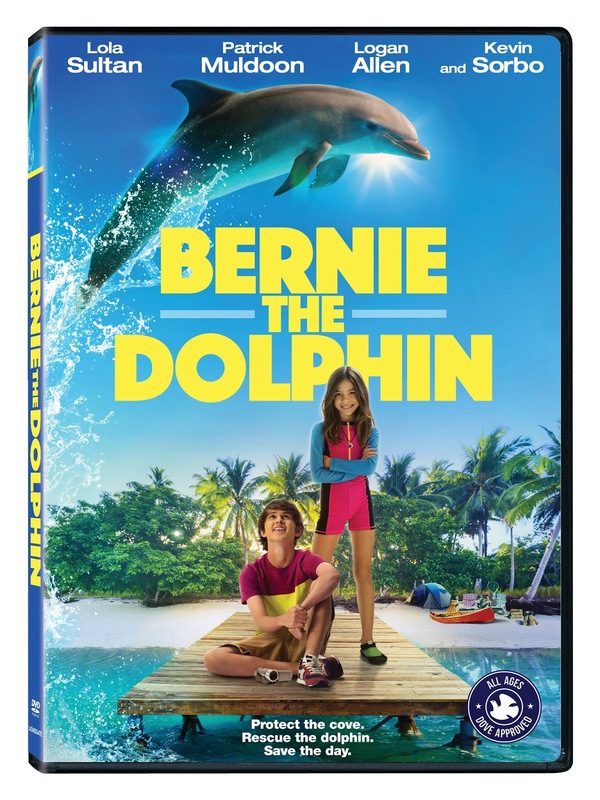 The Bernie the Dolphin DVD will be available for the suggested retail price of $14.98 and includes a behind-the-scenes featurette. One lucky MBP reader will win a copy of BERNIE THE DOLPHIN on DVD. Perfect to share with friends or for your next family movie night! 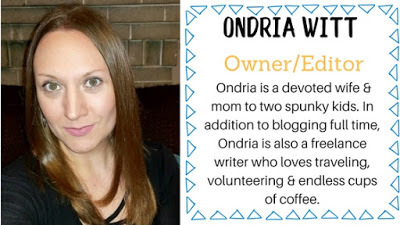 Giveaway is open to US residents, 18+. No PO Boxes. Use the RC entry form below to enter for your chance to win. Void where prohibited. Winner will be notified via email and will have 48 hours to respond and claim their prize. MBP is not responsible for prize fulfillment. Please see our policies page for details. Special thanks to our friends at Lionsgate for offering this giveaway to our readers. Look for this title in our 2019 Winter Survival Guide. My kids swam with dolphins in Hawaii. Not up close. I have seen them at a park and in the ocean, they are wonderful creatures. I like whales and fish! I have encountered a dolphin but I would love to see one. I haven't but it's legit on my list before I go! They are such amazing creatures! Yes, they had some at the dolphinarium on the coast. 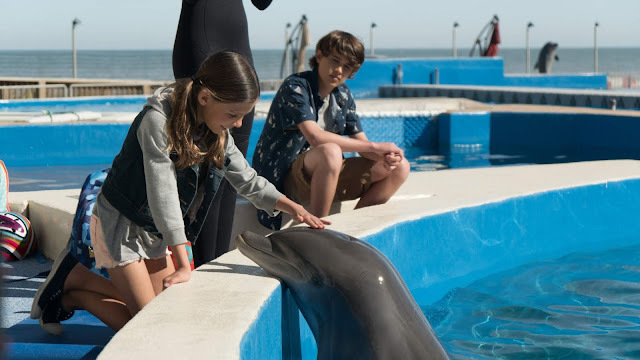 We lived near Sea World in Aurora, Ohio when I was a kid and we were able to get up close to the dolphins. I haven't encountered a dolphin yet.